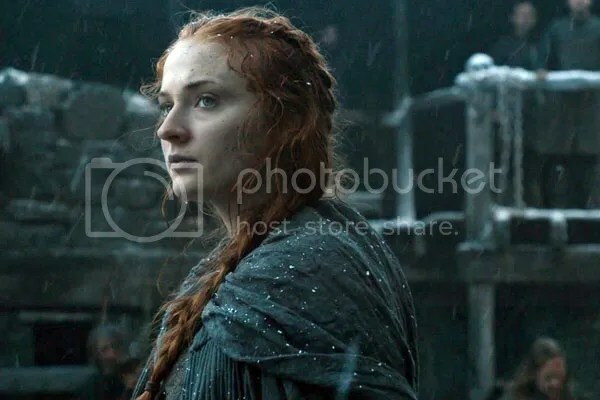 We finally get a Stark family reunion! A mini one, anyway. I’m not ashamed to admit I teared up when I first watched this episode and saw Sansa and Jon hug. Now that Melisandre has served her purpose of bringing Jon back from the dead, I would love to see Brienne kill her. I’ll never forgive that woman for killing Shireen. Tyrion really is a master politician. If Westeros was a democracy, he would be the one most worthy of ruling. I’m glad Grey Worm and Missandei backed Tyrion, even if they disagree with him. Showing dissention in the ranks is the fastest way to lose control. “I should have been born a Dothraki.” – Aside from the braid and the khalasar, Daario basically is a Dothraki warrior. I feel so bad for Ornela, being taken from her people and given to a khal at the age of 12. That’s even younger than Daenerys was when she was sold to Drogo in the books! It did not surprise me that the High Sparrow used to be an alcoholic. Too often when those people find religion they’re simply trading one addiction for another. This is a good episode for sibling reunions. I’m glad Theon is willing to stand aside and let Yara rule the Iron Islands, considering she is the one who has all the experience. Osha was wrong to think she could fool Ramsay the way she did Theon. I’m sad that the killed her off so soon after bringing her back. Not that they didn’t deserve it, but I can’t help but be reminded of her father when Daenerys burns the khals alive. Still, she knows how to make an impression.